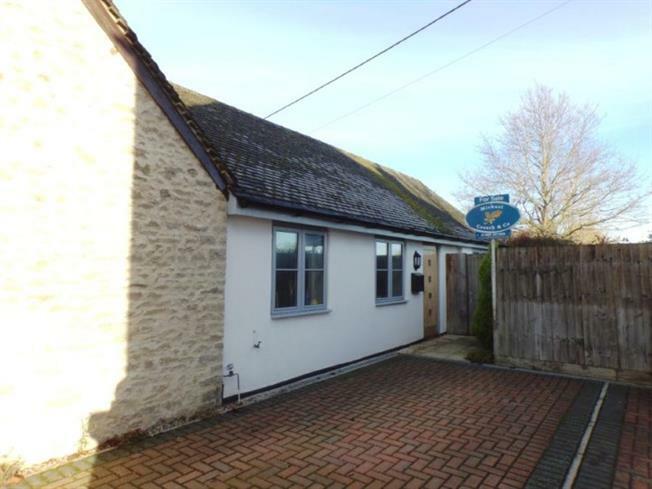 2 Bedroom Semi Detached Bungalow For Sale in Bicester for Offers Over £280,000. Taylors Estate Agents are delighted to offer for sale a well presented Two Bedroom Semi-detached Bungalow located in the popular village of Fringford with no onward chain. The property comprises of a modern kitchen as part of an open plan living area, two double bedrooms and three piece bathroom. Outside the property boasts enclosed rear garden mainly laid to lawn and driveway for two vehicles. Modern fitted kitchen with a range of wall and base units incorporating a belfast style sink with wooden work surface over and tiling to water sensitive areas. Integrated NEFF electric oven and electric hob with cooker hood over, integrated fridge/freezer and washer/dryer. Two double glazed windows to the front aspect, engineered oak flooring, down lighters, TV point, telephone point, loft access, and two radiators. Double glazed patio doors that open out onto the garden, TV point, telephone point, downlighters and radiator. Double glazed window to the rear aspect, door to rear passage that leads round to the garden, telephone point, downlighters, and radiator. Modern bathroom suite comprising of bath with shower over, wash hand basin, low level WC, extractor fan, down lighters, towel radiator and part tiled walls.